Every day, businesses send and receive over 139.4 billion emails. While you were reading this sentence, more than 3 million emails were sent. Impressive, isn’t it? 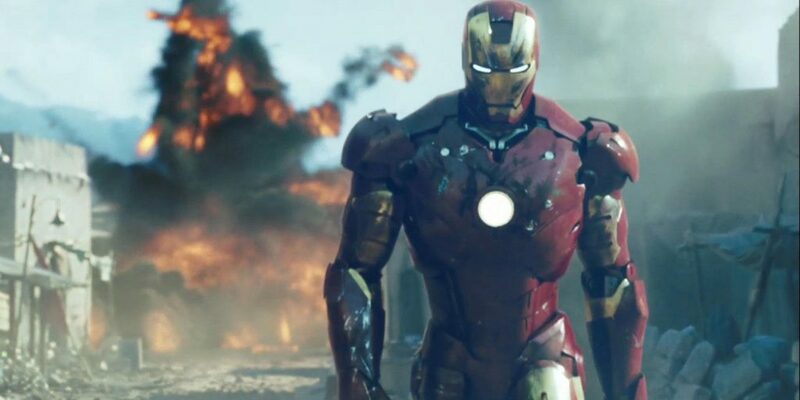 Businesses and emails are like Iron Man and his armor. They are inseparable, they strengthen each other. They are just a match made in heaven. But if they are so perfect together, how come 59% of B2B companies do not use email marketing at all? Most of the B2B companies are still struggling with their email marketing strategies. Which is just too bad, because it remains one of the most effective channels for communicating with customers and generating new leads. That’s why it’s so crucial to do email marketing wisely, especially if you’re in a B2B sector with all its differences and peculiarities… and you know what? Let’s take a look at those peculiarities first before we move onto the real stuff. How exactly is B2B email marketing different from B2C email marketing? The main difference between the two is far more complex than just emails. It’s about their buying cycles. In a B2C sector, the final decision about a purchase can be made by a single person based on their personal tastes and needs. If you manage to hit them with a quick pitch appealing to their emotions, they can decide on purchase in seconds. I mean just yesterday, I bought a one-hundredth notebook for my collection of notebooks after a single newsletter. That’s how impulsive a B2C buyer can be. 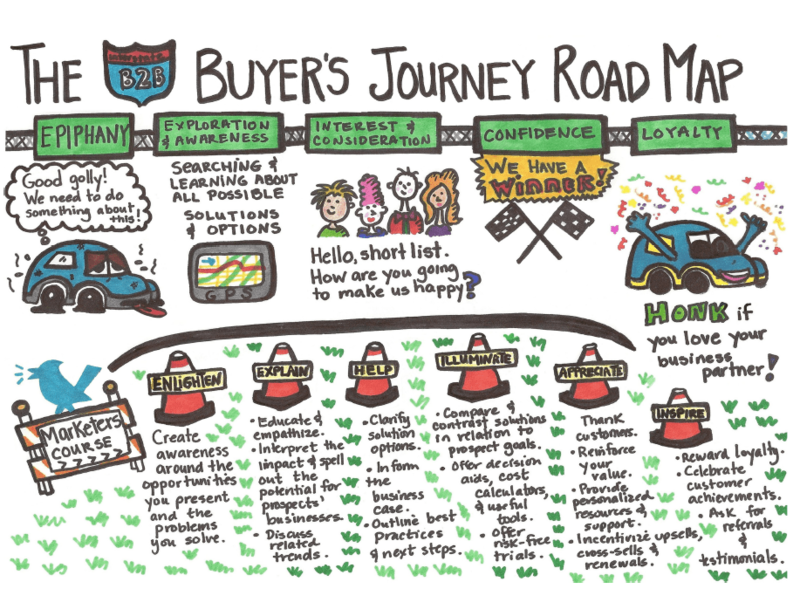 A B2B buying cycle, on the other hand, involves way more people and is way longer than this. It can literally take months from your first email to closing a deal. Source: The B2B Funnel Revolution: Did You Miss It? During this period, you should nurture your potential buyers with all kinds of pitches – show them your (very relevant and useful!) blog articles, send white papers and case studies, and constantly offer as much value as possible. You should be doing it on a regular basis, too. Meanwhile, your content will be forwarded from a person to a person, from a marketing manager to a decision maker. It will be discussed and researched until the final decision is made. That’s why email marketing is just a small piece of the big picture – small, but extremely important. Which brings us to the stuff we’ve all come here for. Now, how exactly should you do your B2B email marketing if you want to do it the right way? 77% of B2B marketers claim they’re using email marketing to drive visits and sales to their websites. Does it sound like something you’d want to do, too? In any case, it’s always a good idea to start with setting up your goals and creating your ideal customer persona. It may sound obvious, but if you don’t see the end goal of your email marketing campaign, you won’t be able to get any results out of it. It’s also quite important to, well, find people who would want to receive your emails. There are various ways to collect visitors’ email addresses. For instance, HelpCrunch has this option called pre-chat form, which asks people to leave their email addresses before starting a live chat conversation. Or you can go full-scale and add some pop-ups and optin forms with the help of tools like Omnikick. Now, you have your audience, what’s next? You can send an occasional email once a month to keep your customers updated about your company’s news. You can use email marketing for upselling your existing customers. You can capture new leads on your blog and then warm them up with the help of email marketing. Each person from a purchase cycle has their own pressure points and agenda, but each of them contributes to the final decision in one way or another. So you can’t just hit them all with the same email. Messages should vary to address these specific pressure points, and it all starts with segmenting your audience carefully. The most basic example is dividing subscribers into new and old ones. Then you can single out a pool of your most loyal customers from the second group. And when the time comes, you can email them about special events or promo offers. When you’re in a B2B segment, you’re not really dealing with people, but rather with their roles within a business. So it may be a good idea to segment your email lists by business roles or something like this. Basically, your segmentation can be based on anything you can think of – from geographic to positions at companies. As long as you have a clear understanding of your ideal customer persona, it shouldn’t be a problem to come up with your own system. Even though you’re targeting businesses in B2B, you’re still talking to people. That’s why email personalization is still in the game. You need to understand what kind of contacts you have in your database and why they’re there if you want if you want to send personalized emails to the right people at the right time. Personalization means something like a contact person’s name, a company’s name. In fact, it can be easily automated, but will instantly humanize your email. 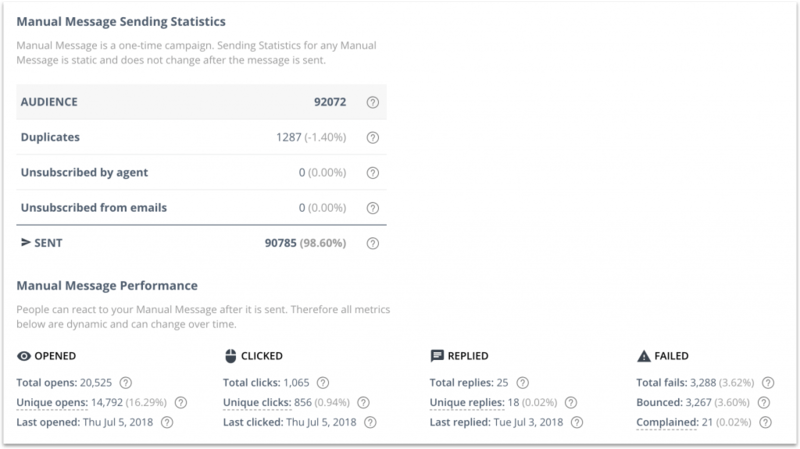 It’s been said a lot over the years about how to craft emails’ subject lines to increase open rates – how long they should be, which words you should abstain from and even how emojis can impact an overall performance of your emails. What email marketers barely talk about is that the first thing recipients do when receiving an email is looking at its sender. So, it seems like the sender name plays even a bigger role in open rate than the subject line. Using a personal name in a ‘send from’ as contrary to a company’s name can increase your email open rate by 15-35%. It only makes sense as personal names give you a feeling of speaking to real people and not faceless corporations. Especially if you back the name up with a real reply-to email address. 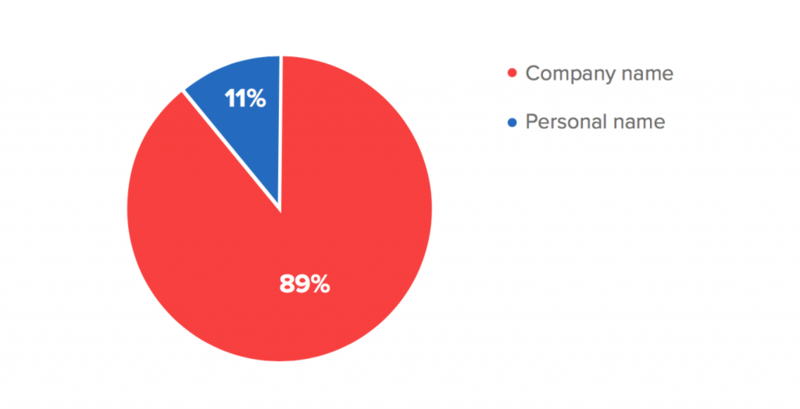 And it’s a good way to stand out from the crowd, too, as only 11% of B2B email marketing campaigns are sent from personal name. As funny as it sounds, you can even make your email signature work for you. So make it work for you. B2B email marketers take very different roads when it comes to choosing what they want to send to their subscribers. But according to the studies, B2B buyers prefer to receive emails that include case studies, relevant articles, and white papers, rather than sales-focused “demo invite” messages. As I’ve already said, the B2B decision making process is quite long and needs constant nudges to keep your clients motivated. Case studies will show them examples of how other similar businesses achieved success with your product, white papers can give them unexpected angles on how else your product can be used. All this together will contribute to the bigger picture of just how much they need your product for themselves. Also, B2B companies usually choose a very business-like tone for their emails. But what is you try something new? Don’t be afraid to look for new original voice of your own. B2B newsletters don’t need to be boring, they can actually be fun. Just make sure you use an advanced and transparent analytics to track how your email campaigns perform and optimize them accordingly. It will give you valuable insights into what works for you and your audience. So, you’ve heard about the GDPR, right? It’s this EU regulation that prevents you from sending emails to people who haven’t given their consent to this, among other things. The game rules that it brings may be sometimes very confusing and difficult to keep up with, but there are a few very basic privacy things you can do. So first and foremost, you can’t send mass emails to people who haven’t subscribed to them. For instance, if you’ve done some networking at a conference and collected some prospects’ business cards with emails, you can’t just add them to your subscriber database and call it a day. You should first write a one-to-one email and ask for a permission to do so. The other basic rule you should always follow is allowing your subscribers to opt out of your emails. Quickly and easily. It’s important you make sure that every email you send has a clearly visible “unsubscribe” link. If you’ve read this far, you may feel a little bit overwhelmed with all the rules and complications of B2B email marketing. But I’ll tell you this. With the right tools on your hands, the whole process becomes much easier. That’s why it’s very important you approach the choice responsibly. For instance, you can read the reviews of any email marketing tool at FitSmallBusiness, choose a tool or two and register for their free trials. Only when you take a couple of tools for a spin and see them in action, you can make the most informed decision possible. And you can start right now and get a free HelpCrunch trial for 14 days (in case you weren’t aware, we also have email marketing automation tools in our toolset). What makes HelpCrunch a smart choice is that it also has a live chat tool for customer support, which can also enhance your sales and inbound marketing strategies drastically. For instance, you can use it for announcing minor product updates and new features. This way you will be targeting users who are actively using your product and, therefore, are the most interested in such things. It’s also important your email marketing tools are compatible with each other. If you use other channels of attracting and retaining customers, you need to make sure that your email marketing software integrates well with other tools. My ultimate email marketing advice would be as following. Experiment! Experiment a lot. Try sending weekly, monthly, quarterly emails. Try different formatting options. Test visuals. Segment your audience based on any criteria you can think of. Use different tools. At the end of the day, all this will give you enough data to compare and come up with your own formula of email marketing success.